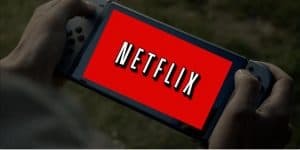 Netflix Will Eventually Come To The Switch | Nerd Much? With the Nintendo Switch’s likeness to an iPad or tablet, many fans have been wishing they could use their streaming service between game sessions. Well, as most devices with screens, streaming should be second nature and they will be coming to the Switch “in time”, according to Nintendo America president Reggie Fils-Aime. Hopefully that means focus on third-party games too, because I’ll take that compromise. All the publishers and developers that were singing the Switch’s praises before the console’s announcement have been awfully quiet since. So hopefully we’ll see more than Just Dance and Skyrim from third parties this time around. Will you take advantage of Netflix of the Switch, or would you rather use your tablet for that? Let us know in the comments below!